Muddy water in the aquarium is a common problem that is sometimes faced even by experienced aquarists. It can lead to death of your fish. To avoid this, you need to understand the causes of this trouble and eliminate them. The aquarium is a microcosm of where to appear and dead organisms. It consists of the delicate relationship of fish, plants and bacteria. When you create a new aquarium in a few days there is a huge amount of bacteria, excessive breeding in the water. This leads to its dimness. This process is quite normal and natural. Before you run the fish tank with new water, you just need to wait a few days until it clears. Because of the lack of food most bacteria will die, and the biological balance of the water is normal. Change the water in this case, it is strictly prohibited because it is also turbid. 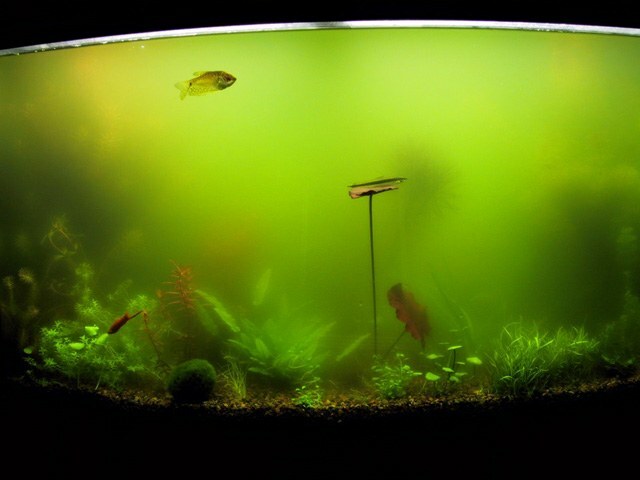 It is best to add some water from the old aquarium, where the balance has long been established. If you don't have anything to worry about, the balance in the water he settled, just needs more time. Another cause of muddy water may be overfeeding the fish. The excess food that your Pets do not have time to eat, descend to the bottom and begin to rot. As a result, the water begins to deteriorate. In such an environment, the inhabitants of the aquarium can't feel good, and prolonged their stay in the bad water will ruin. With a large number of fish in the aquarium and poor water filtration, there is a clouding. The inhabitants of such an environment is sure to start poisoning organism decay products, which will lead to their death. Cause muddy water can be algae. There is a view that excessive reproduction leads to clouding of the environment in the aquarium and in this case emits an unpleasant odor. Another problem may be the excess lighting or the accumulation of excess organic matter on the bottom, stimulating the rapid growth of microscopic algae, and the result is algal blooms. It becomes opaque with a greenish tint. The lack of light plants in the aquarium will become brown and start to rot that will spoil the habitat of the fish and will harm their health. To deal with muddy water is not difficult, important to understand the causes of turbidity and adhere to certain rules in the future. First you need to determine the cause of the turbidity. If it is the overcrowding of the aquarium, therefore, should strengthen the filter or some fish to move to another place. If the reason is the accumulation of excess feed on the bottom, so you need to reduce the dose of the food or buy a bottom fish, which will eat up deposited food. With lighting need to dim the aquarium or increase the light. To prevent a rapid growth of algae encouraged gets fish or snails eating plants. Below in the aquarium was preserved biological balance, it is necessary to have a good filter that matches the size of the water tank. You need to understand that the aquarium water is alive, and to maintain balance, it is necessary to maintain certain conditions. It does not suggest the use of chemicals, they can cause more disturbance and require longer recovery. In maintaining balance in the water plays an important role her shift. After starting a new aquarium does not need to change the water for 2-3 months until the adjusted balance. In the future, water should be replaced 1-2 times per month. While merging only 1/5 of the total volume of the aquarium and the same adding new. If you change more than half, disturbed habitat, which will lead to the death of fish. In small tanks the water can be changed less frequently, subject to the availability of a good filter. Aquarium – not only decoration, but first and foremost, the ecosystem of living common to all ecosystems laws. It is stable, when there is a biological and chemical equilibrium. The imbalance directly affects the appearance of the aquarium, and primarily on water quality. The water turbidity in the aquarium, usually caused by the massive development of various bacteria. Where are the bacteria? They, like other microbes that fall into the fish tank, with plants. The source may also be soil, fish food and even the air which is in contact with water. Some amount of bacteria is always present in each of the elements of the ecosystem. In a certain number, they are harmless to other aquarium inhabitants. The water stays clean and transparent. With the mass proliferation of bacteria you will definitely have two or three days after filling the aquarium with fresh water. This is due to the fact that the lack of a sufficient number of other organisms, the bacteria begin to multiply rapidly. Outwardly, it looks like a light whitish or pearly homogeneous suspension. The process of reproduction of bacteria is faster if the aquarium are plants and soil. After another 3-5 days the cloudiness disappears. This is due to the appearance in the aquarium water ciliates, which are intensively eaten by bacteria. There comes a point balance of the ecosystem. It was only then that the aquarium can settle in fish. Plants need to be taken from the aquarium with healthy inhabitants. The water turbidity in an aquarium that already has fish, can be caused by organic suspended matter. A suspension is formed from waste products of fish and plants, as well as incorrect feeding and excess dry food. To combat the suspension used aquarium filters, including biological, in which organic matter is actively absorbed by living on the filter material with bacteria. Mandatory measures are also cleaning the bottom, removal of dead parts of plants, dead organisms, excrement. A quick clouding of the water in the aquarium with living fish can be a manifestation of disequilibrium and may be the first symptom of the disease of all ecosystems. For example, precede the blooming of water. In this case, the aquarium has a large volume, frequent complete change of water in it impractical. It is easier to restore the biological balance, adjusting the lighting and replacing only part of the water. In large aquariums the biological equilibrium is easier to support than young, but set it longer. Good absorbers are turbidity cladocerans (Daphnia, Moina, bosmina, etc. ), which, feeding on bacteria, are good food for fish. An essential factor of equilibrium should be regarded as the aeration and water filtration. Filters need to be cleaned regularly. 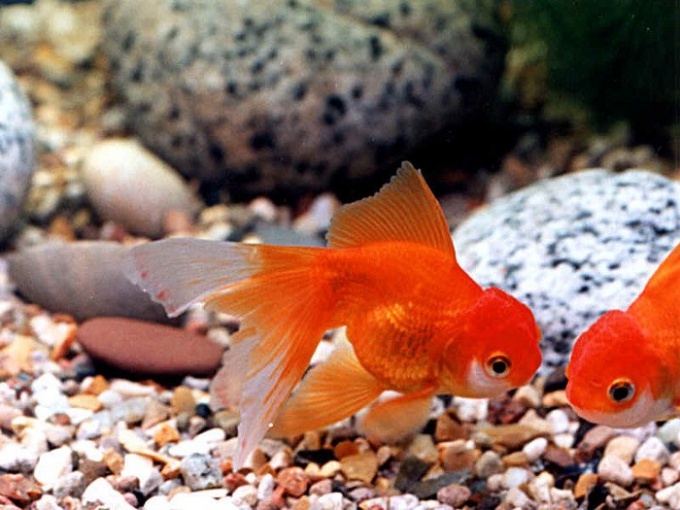 Diseases of aquarium fishes – a very common phenomenon. Aquatic creatures often die due to improper care. Less can occur hereditary disease, which in most cases is incurable. Blacken fish not only from infections, but also due to poor water quality. It may sound strange, but fish is also prone to colds. This happens usually because of too low water temperature. First signs of a cold-folded fins and black spots on the gills. The only method of treatment in this case is ensuring the desired temperature, which must be not less than 23°. Please note that dramatically changing the water is not recommended. The temperature should increase only gradually. In some cases the fish turn black due to a genetic predisposition. If the behavior does not change, the appetite is not lost, and the fish are active and mobile, then worry not. Gill rot is a very dangerous disease for aquarium fish. Water occupant may die within just several days. The main symptoms of such an infection are black bars on the body and in the head. The fish becomes very slow and floats up the tail. Externally, the impression that her body once again, thank you head. The ailing fish should be sure to transplant from their neighbors. Gill rot is a contagious disease that can in a short time to destroy all the inhabitants of the aquarium. The optimal method of treatment is the copper sulfate solution that is added to water minimal dosages. If the fish regularly move, the consequence could be their blackening. The main symptom of overfeeding is considered the sluggish behavior of water inhabitants and swollen tummies. The most common cause black spots on aquarium fish is a disease called fin rot. Starts darkening of the body fish with the tips of the fins and tail. Causes of fin rot are many. 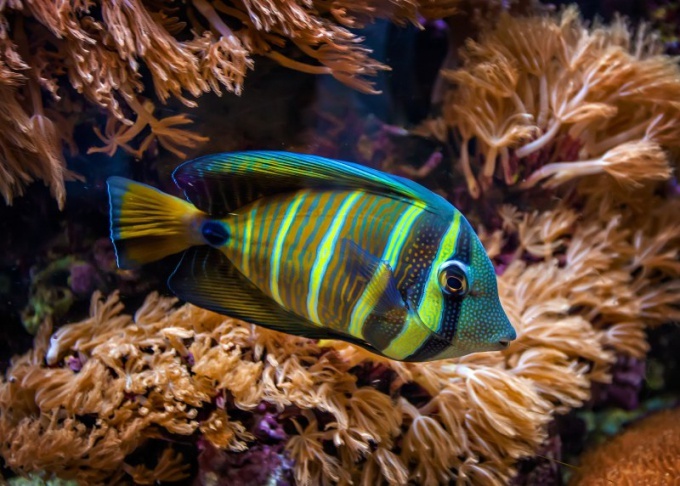 The most common of these are inappropriate conditions of detention, too many fish in the aquarium, a rare aquarium cleaning, strong water pollution. To prevent fin rot it is necessary to regularly monitor the condition of the aquarium. Uneaten food in any case should not accumulate on the bottom. Otherwise, the water will become uninhabitable and will have a devastating effect on the fish. In rare cases, the cause of blackening fish can become larva kutikuly. The transmission is possible only in the case if, for example, turned to the aquarium fish representative of the river habitat. Please note that some of the fish black spots appear gradually, but disease is not. A vivid example can be called a swordsman. Young fish have a more light color. Gradually the body black and colored dots appear.